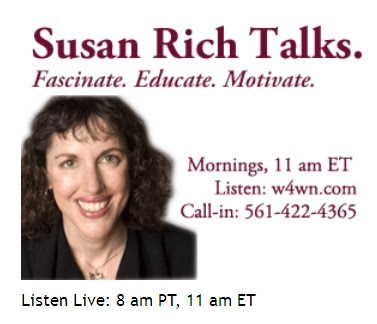 Tomorrow morning (Wednesday, April 18) I will have an hour-long radio interview with Susan Rich of Susan Rich Talks. It's going to be an early-morning interview (for me) -- 8 am Pacific -- and will also be available via podcast (or whatever it's called) at this link, some time after the show is aired. I am looking forward to listening to your interview this morning at 11AM ET (10AM CT). I have to tell you, I enjoyed your interview. I totally agree with you on simplifying your live, living within your means, raise a strong foundation with strong morals, cut expenses, don't go into debt and get rid of useless guilt. I think I still have problems getting rid of the useless guilt. I still apologize, as you stated you used to in regards to the house. I need just quit and move on, I'm still fighting within myself on the guilt.